Happy Halloween everyone! 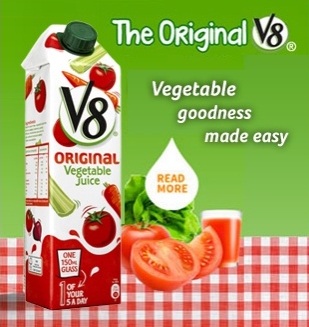 Here at V8, we love this time of year – the leaves are turning, there’s a chill in the air and spooky times are ahead. Halloween of course means pumpkins and this year, why not get super creative with these versatile and fun to use squashes? Luckily, you don’t need to be a fairy godmother to transform a pumpkin. All you need is a little inspiration. 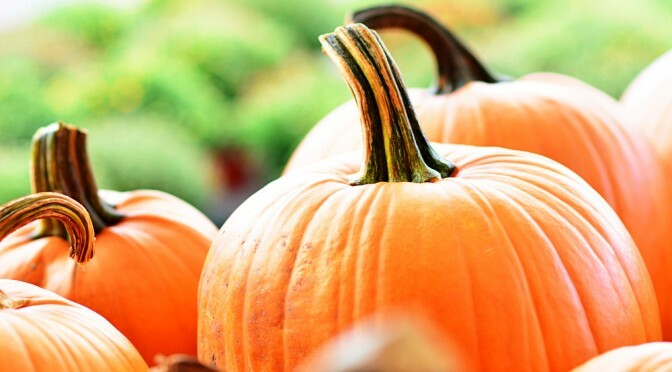 Check out our list of 10 things you can do with pumpkins! When you carve a pumpkin, you always end up with a great big pile of innards, so why not put them to good use? 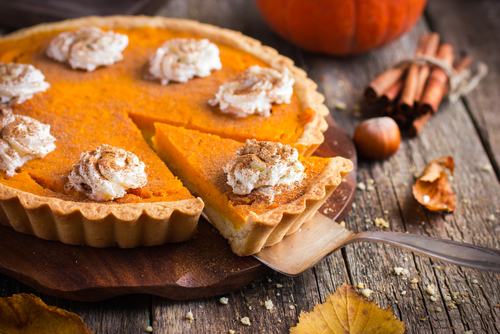 Pumpkin Pie is a popular winter dessert in the States, but it isn’t as well known here in the UK. So give it a try. Our secret ingredient is just a touch of cinnamon in the mix. Pie not your thing? 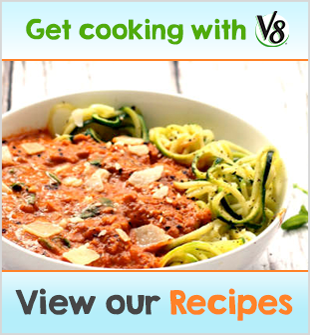 How about a rich and tasty soup? 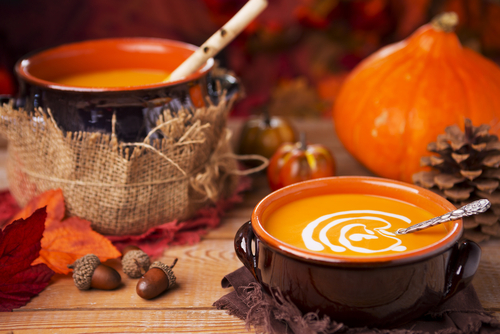 Just heat up your pumpkin flesh, add chopped onion, stock and a bit of milk, blend it all until smooth, reheat, garnish and serve. Easy! On a bit of a Bake Off binge? 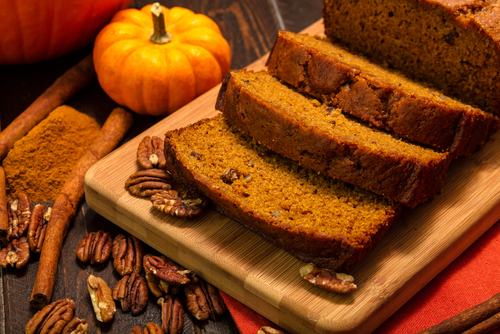 Make Pumpkin bread. This sweet and decadent dessert bread is just the thing you need on cold and wet autumn evenings. 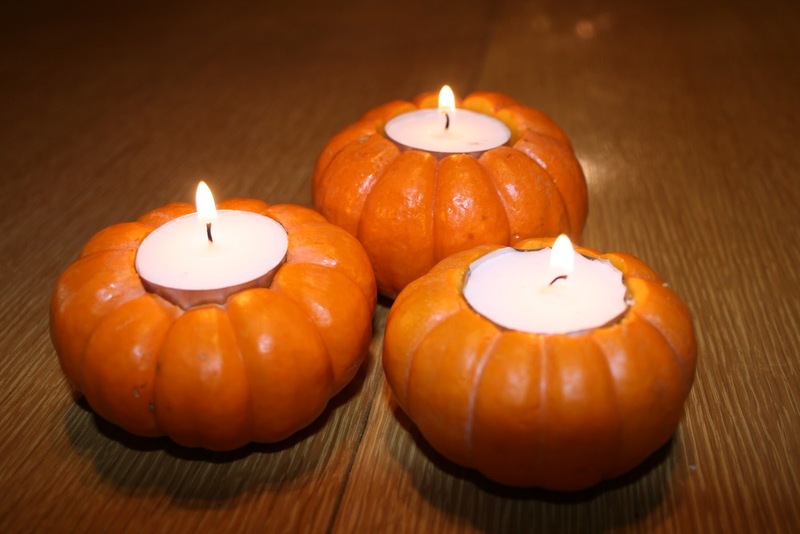 Small pumpkins (munchkins) can be hollowed out to make adorable and seasonal floating tea light holders. If you’re having a late night garden party this Halloween, these are a must. Just carve a depression in the top about an inch deep and add your tea light. 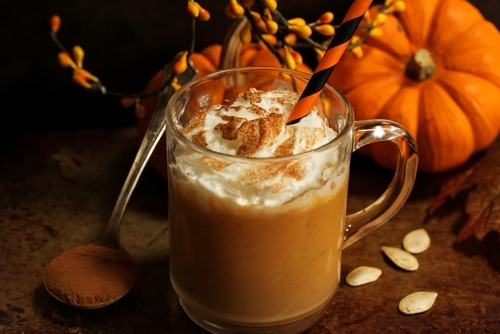 Don’t rely on high street coffee shops for your #PSL fix this October. Jump into the kitchen and whip up your own pumpkin spiced winter warmer. They’re prefect whether you’re getting up on a dark and cold morning or just come in from a wet and windy night. 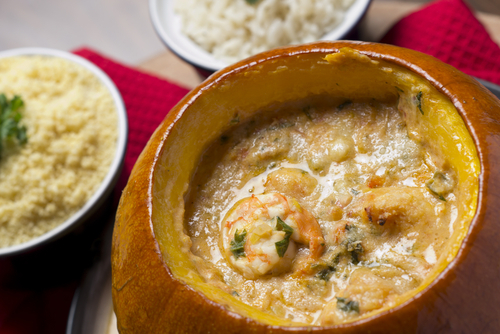 Veggie curries use squash as part of the recipe all year round, so serving a curry in a hollowed out pumpkin is a natural and seasonal fit. 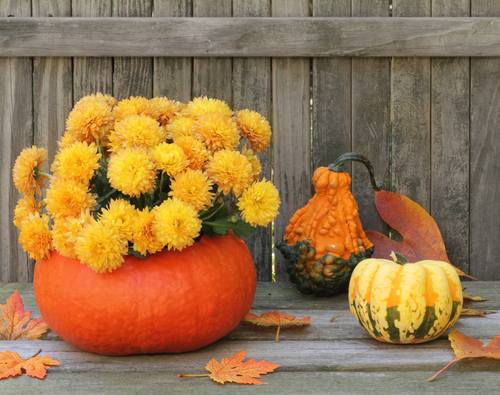 Great for big sharing dishes, a pumpkin bowl makes a great centre piece for any Halloween dinner table. Yep, a boat! Missed the ferry? No worries, you’re always afloat in a pumpkin. Are you attracted to the dark romance of Halloween? 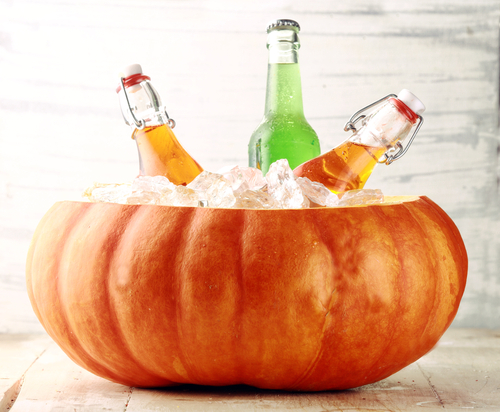 Keep the decor on theme by filling a hollow pumpkin with ice and adding a bottle of your favourite wine. This idea is great for both parties and intimate nights in. In need of a plant pot that is biodegradable, full of nutrients and looks awesome during Halloween? Look no further than a pumpkin! Not only is it good for your plant, providing natural compost over time, it doubles up as decoration. This is great use for a post-Halloween pumpkin. Swap out the candle for seeds and feed and hang it up in your garden. 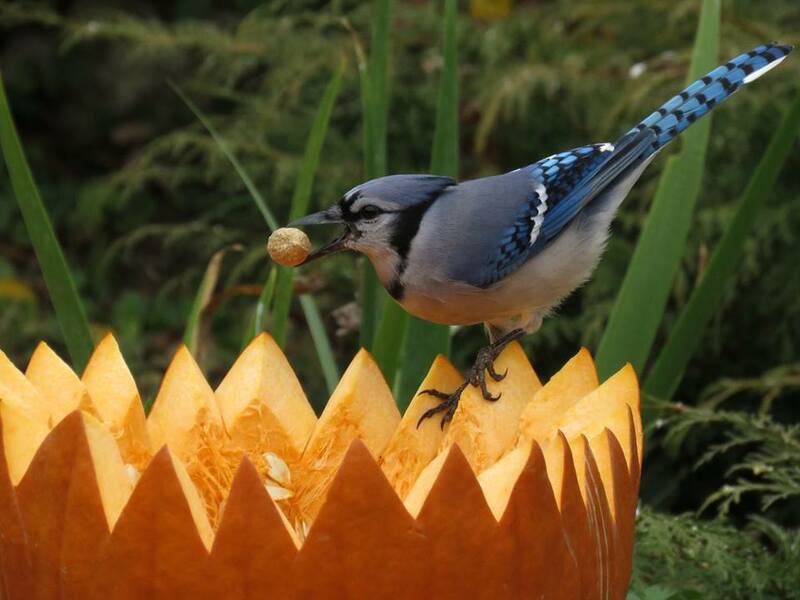 The birds and squirrels will love you for it and your pumpkin will be taken care of the natural way. So there you have it! 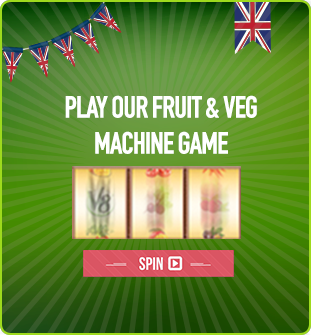 As well as carving yourself a spooky display, try something a bit different this Halloween. If you have an awesome pumpkin design you’d like to share, keep an eye on our Facebook page for your chance to win a prize!